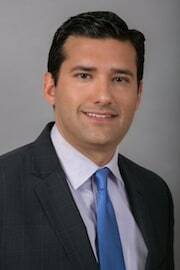 David Stauber is a Miami Beach native who received his Bachelor of Arts degree from the University of Florida and his Juris Doctorate from Boston University School of Law, where he obtained a concentration in Finance and Business Law. Following law school, David spent almost a decade defending large corporations, including Fortune 500 banking institutions, medical device equipment manufacturers, insurance companies, as well as the world’s largest cruise lines in a wide variety of types of cases ranging from class actions to wrongful death and product liability actions. During this time period, David gained invaluable experience litigating cases at the trial court level in state and federal courts, as well as in the appellate arena. Ultimately realizing he had more passion for the plight of injured victims, David shifted his focus and began representing injury victims. Mr. Stauber is dedicated to ensuring our clients obtain the highest compensation for their injury case and understands the importance of trusted counsel in a time of need. David is admitted to the Florida Bar and the U.S. District Courts for the Southern and Middle Districts of Florida.